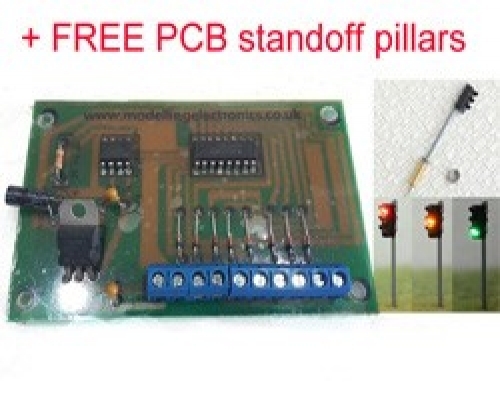 Our traffic light control circuit allows you to bring more realism to your model railway layout or model town. The circuit allows you to control 2 or 4 way traffic, (Allowing for two traffic lights North and South or four traffic lights, North South East and West). There are two options for purchasing this circuit. These are Circuit only and circuit including traffic lights x 2. 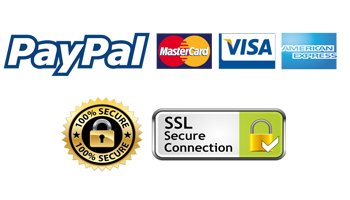 You may also purchase additional traffic lights separately. 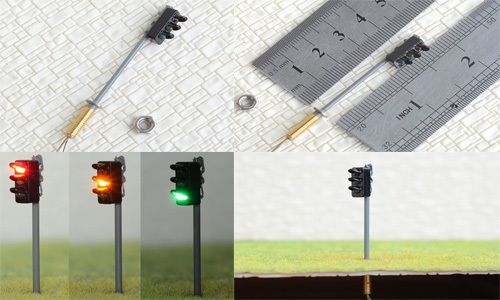 Our traffic lights are designed for N Gauge use with a height off approx 34.5mm. The circuit is powered via a DC supply 9v -25v. We also sell power supply circuits which give a single DC output and a multi DC voltage output. The circuit once wired in this manor will give an output as below. 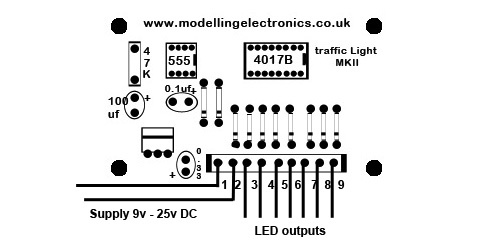 To wire the traffic light control circuit please make sure you have resistors connected to your LED’s, our traffic lights already come with resistors attached but you are using other lights please make sure you include a resistor suitable for 9v usage. Please take care when wiring the led's to the circuit and please make sure you have disconnected the power. Terminal 2 is the positive power supply to the board. Terminal outputs 3 and 4 are the negative supplies for the led's for the led’s. You may use either or both of these terminals for the negative supply. Terminal output 5 is the positive supply for Green led's East and West. Terminal output 6 is the positive supply for Red led's North and South. Terminal output 8 is the positive supply for Green led's North and South. Terminal output 9 is the positive supply for Red led's East and West. The above wires the traffic light control circuit for 4 way traffic, If only a two way traffic setup is required simply remove the led's for East and West, this will now allow traffic lights for road works etc. 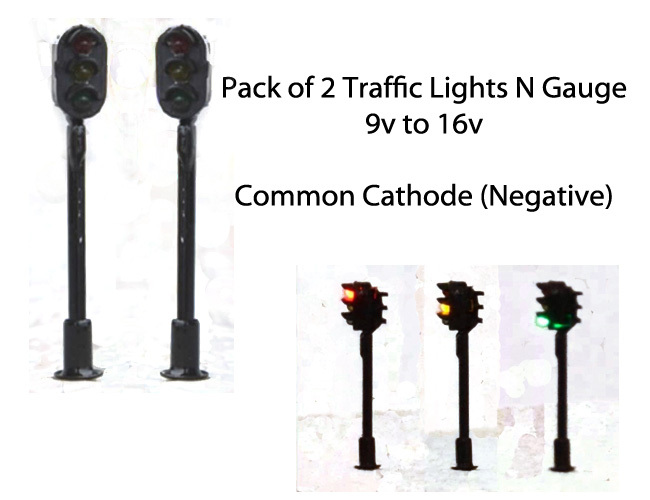 Our N Gauge traffic lights are wired with a common cathode (- Negative) specifically to work with our circuits. The traffic lights come pre-wired with four wires. Their wiring instructions are below. Our OO/HO Gauge traffic lights are wired with a common cathode (- Negative) specifically to work with our circuits. The traffic lights come pre-wired with four wires. Their wiring instructions are below.